Excavator operators will be able to get more accurate load numbers as LOADRITE is integrated into Trimble's Earthworks. "With the introduction, Trimble will have the only aftermarket, mixed fleet solution that integrates grade control with payload management," said Scott Crozier, general manager for Trimble's Civil Engineering and Construction Division. "This technology makes the Trimble Earthworks platform extensible to more applications, and more flexible than ever before." Combining machine control and payload management on the Trimble Earthworks platform can increase the versatility and productivity of the excavator, empowering the operator to not only grade to within a given specification, but also maximize every truck haul to get the job done quicker. 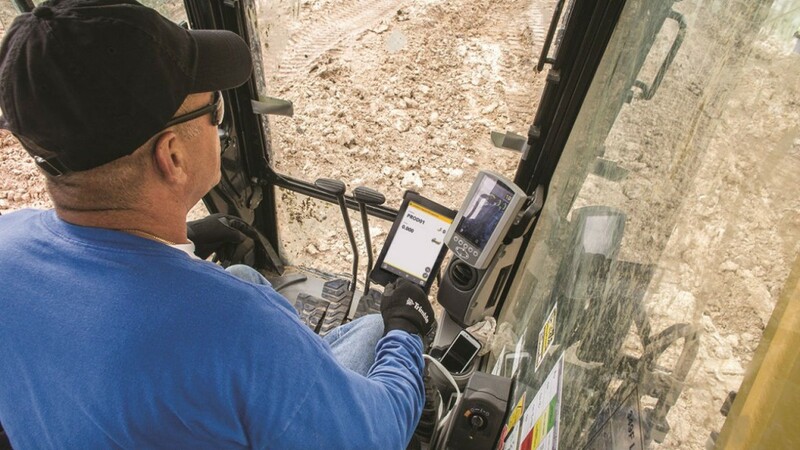 The Trimble Earthworks for Excavators Grade Control Platform features intuitive, easy-to-learn software that runs on an Android operating system. Contractors can take advantage of the first integrated 3D aftermarket grade control automatics for excavators. Excavators can work semi-automatically, allowing operators to create smooth, flat or sloped surfaces more easily. Trimble LOADRITE onboard weighing systems ensure optimal loading to maximize every truck haul to get the job done quicker. With the ability to accurately measure the weight of each bucket and calculate the total weight loaded onto each truck, the system enables operators to increase productivity and efficiency for excavating, creating more efficient mass haul. The LOADRITE Payload Management for Trimble Earthworks Grade Control Platform is expected to be available in the fourth quarter of 2018 through the SITECH distribution channel. Other LOADRITE onboard weighing products are available from local LOADRITE dealers; a full list is available at: loadritescales.com.